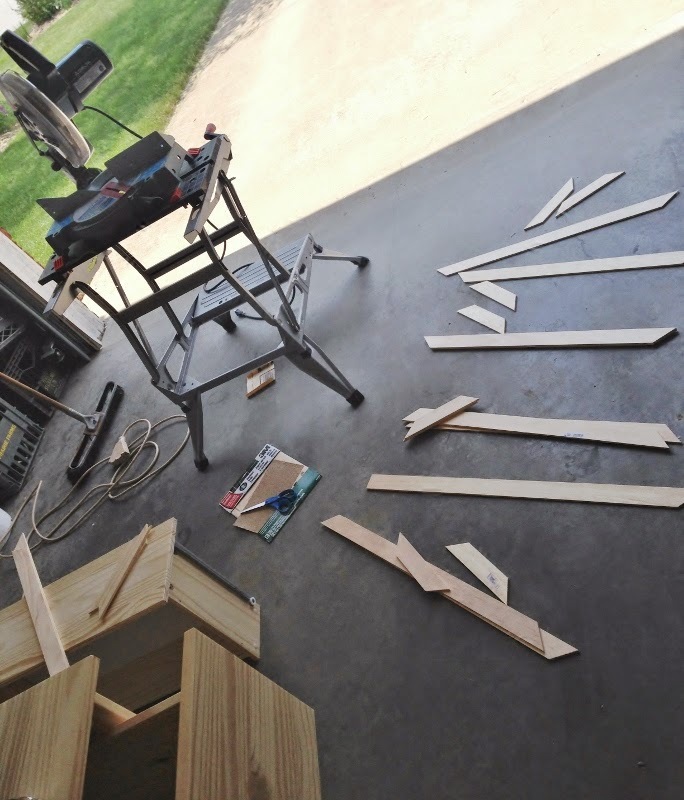 Waaay back in April, my BFF's and I journeyed to Ohio on an IKEA pilgrimage and I had been planning a little "Ikea hack" ever since. 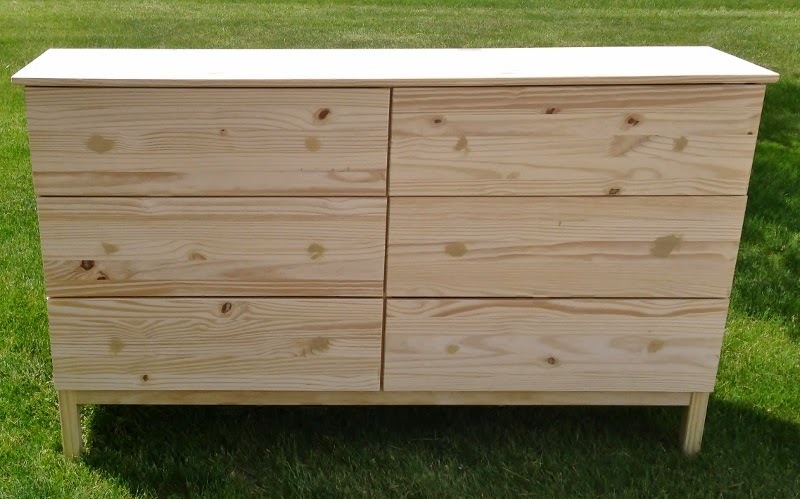 I bought an Ikea Tarva dresser with the intention of turning it into a grand hutch for our kitchen... but of course the practicality of hacking a giant hutch with no construction experience..... yeah, no. After I stared at the boxes for a solid month... my dad and I put it together with a minimum of swearing. 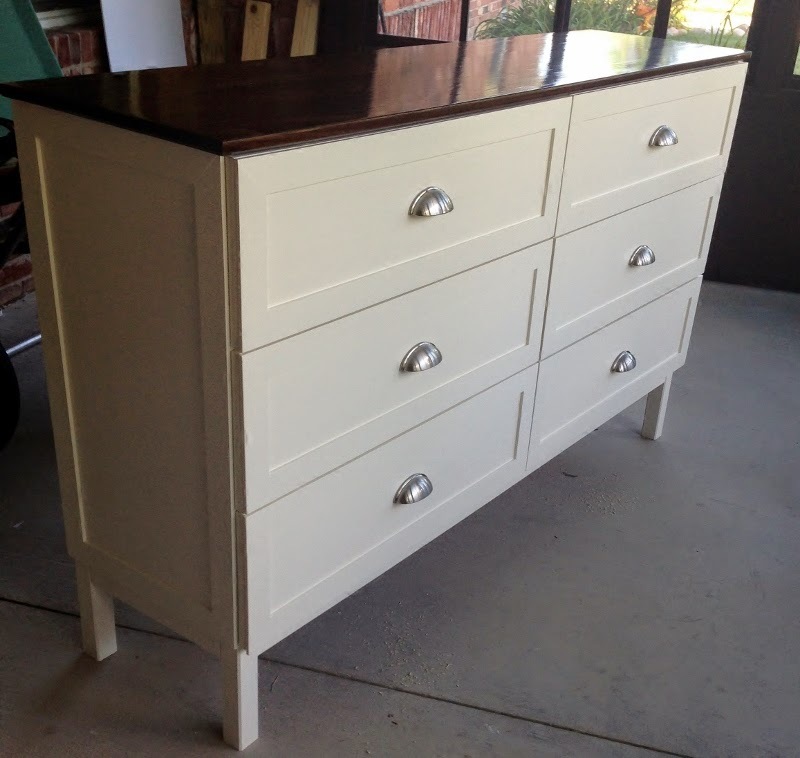 The first thing we noticed, which you can see in the picture below, is that the drawers are ever-so-slightly wonky. 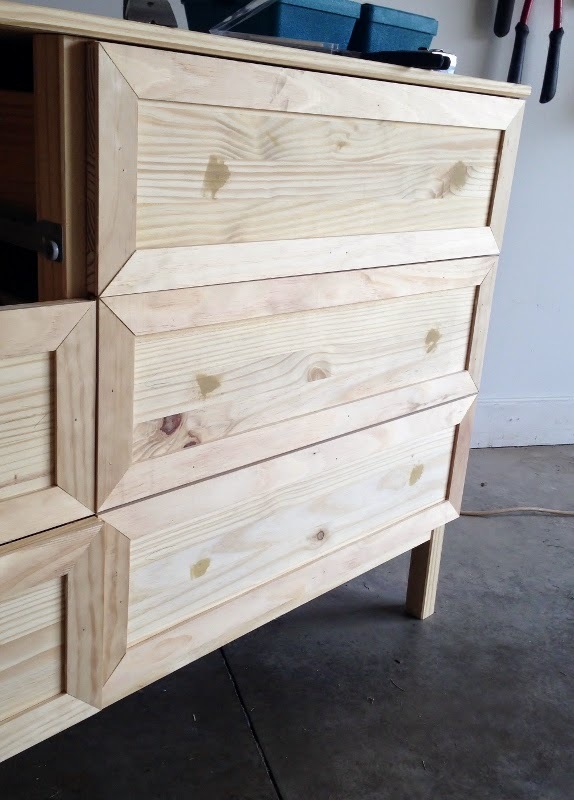 Like... the gap in the middle of the 2 sets of drawers are just off. My dad, handyman extraordinaire, determines that this will ruin my whole project. I am not deterred. So we get to cutting out some trim to snazz the Tarva up. Many hours later (like 3), things are looking good. We get the whole piece trimmed out, including the sides. And miraculously, the trim seems to have magically evened everything out. No weird gaps, it looks pretty perfect. Miracles do happen! Even IKEA miracles. Four layers of stain, 3 layers of paint, and approximately 8 layers of polyurethane later... things were starting to get real. Hallelujah! Hallelujah!! 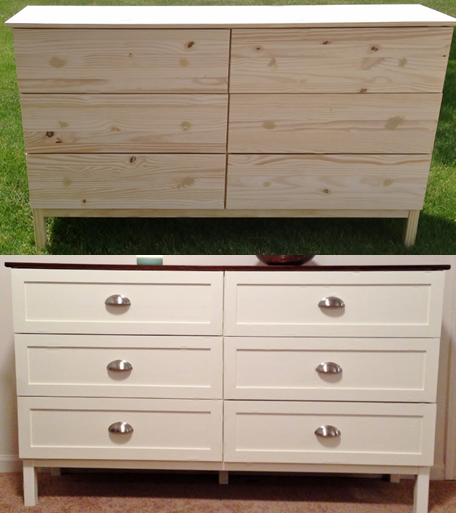 The only thing better than dreaming up an Ikea project is FINISHING it. It's not so much a "kitchen hutch" as I had planned... but it's actually holding overflow baking supplies, and I just loooove to kick my shoes off underneath it after a long day. Which is really classy and totally Pinterest-worthy. Bam. Nothing like a good transformation to make me want to do it all again! Now... 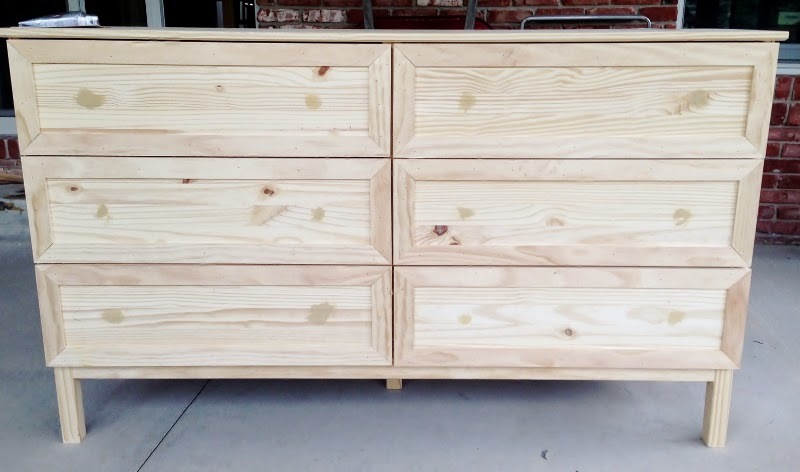 I can't understand why my husband doesn't want to make an Ikea trip and start on another project together. I mean.... it looks pretty amazing, right? We won't go into some of the "little tweaks" I want to make to it. Nice work! I love ikea hacks!! It looks so good! I have frames from ikea to do a gallery wall and after three months, Ty finally decided to help me. We've hung 2 of the 4 (20x20) frames and I think we will be taking them down. It is impossible! Ikea sucked me in with the prices, but I shouldn't have done it. Haha! That looks so awesome! What a handy, dandy dad you've got. Doesn't even look like the same piece of furniture. I'd love to do something like that. Oh my gosh this is awesome! 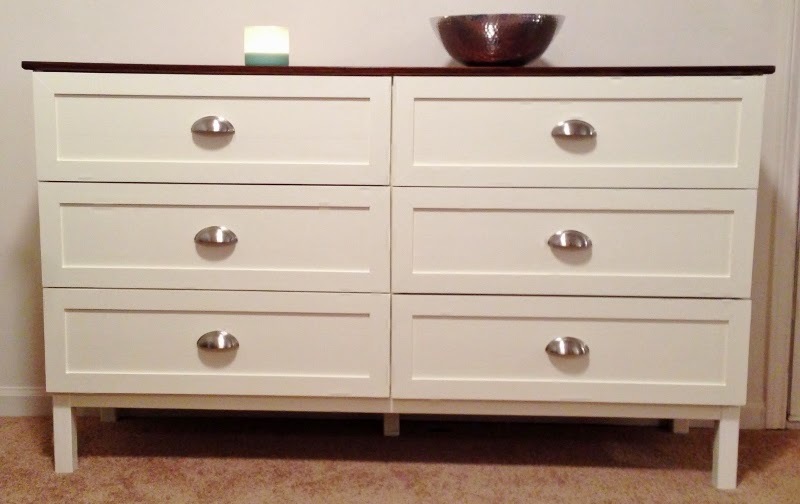 I like to dream about IKEA things like this but I don't think I'll ever be able to do it! Wow, it looks amazing! Great job! How did you attach the trim to the door fronts? Quinn, I wish you had an email address attached cause I would totally reply to you!! 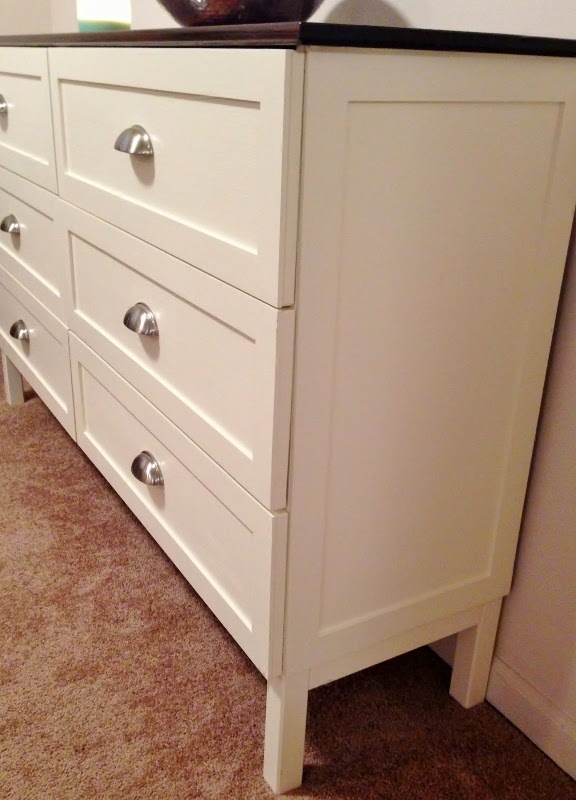 But I used a brad-nailer to attach the trim to each drawer. It's like a nail gun that shoots out nails without flat heads... you just have to fill in a tiny dip where the nailer sometimes digs in. Would you please share the dimensions (width/thickness) of the lattice moulding you used? I really like the proportions you achieved. Your trim work looks amazing! I love that you mitered the corners. 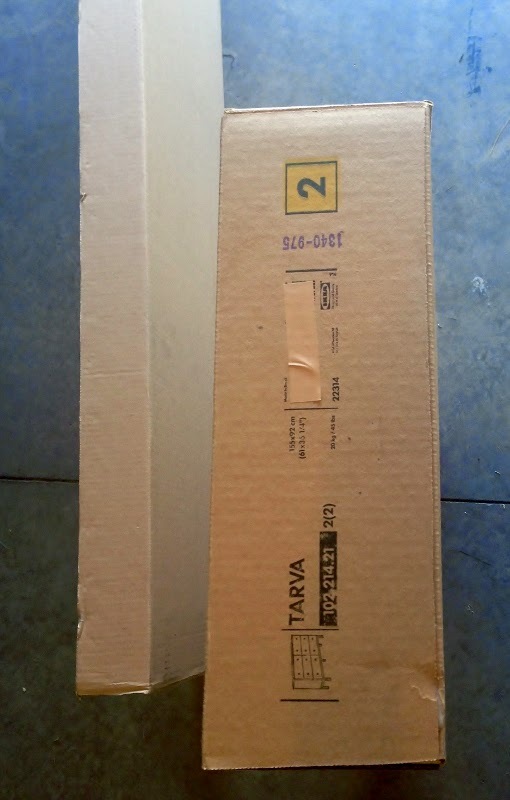 I'm in the process of doing a Tarva hack, and wish I had seen this earlier! Kudos to you! Can you post instructions with a step by step on how you did this with the dimensions? I bought a Tarva and would love to do this project. What is the paint color you used? I love that it's not a bright white but creamy. It's beautiful! Awesome job! Doesn't even look like the same piece.